We are now serving the people of Jasper and Hampton counties with our new Grays campus at 2573 Rivers Hill Rd. 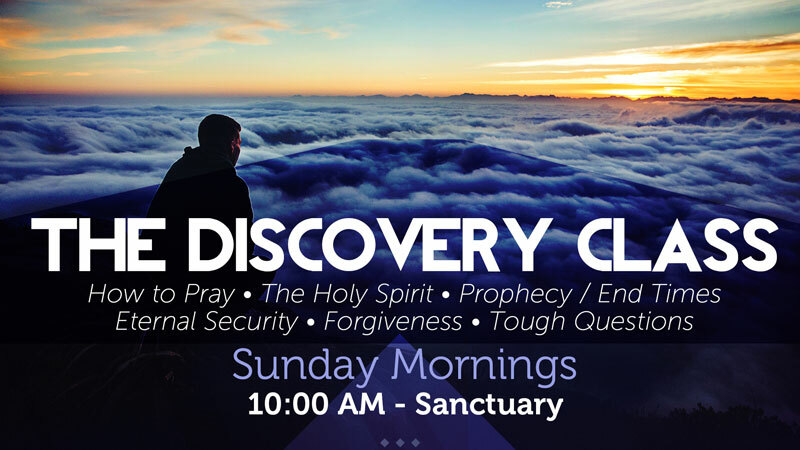 Please join us Sunday mornings at 10:00 for our Discovery Class Bible Fellowship and at 11 for Worship! A church with a rich history in the Low Country officially reopened Sunday, January 13th in service to Jesus Christ and ministering to residents of Hampton and Jasper counties and the surrounding areas. Oak Grove Baptist is now Community Bible Church of Grays and its mission will be to share the gospel, teach sound Biblical doctrine, and develop close fellowship with people within the region. The church, located at 2573 Rivers Hill Rd. in the unincorporated area of Grays, near Varnville, SC, was originally organized in 1870 and dedicated the following year on donated land. Its membership grew over the years with as many as 66 members on the church roll in 1913. The church would open its doors the second Sunday of each month. But by the beginning of World War II, the congregation, which had long been affiliated with the Savannah Baptist River Association, experienced a decline in attendance, and officially closed its doors to regular services in 1942. In 1989, according to a historical marker at the site, former members and descendants of charter members sought to begin restoring the original sanctuary. And in 2000 Oak Grove Baptist Church was formally reorganized and resumed services with Sunday school, morning and evening worship on Sundays and a Wednesday evening service. Over the years attendance once again waned as the overall Southern Baptist denomination saw its membership on the decline. According to the Annual Church Profile, the Southern Baptist Convention lost almost 78,000 members in 2017. Sadly, a skepticism in the Bible as the fully inspired Word of God, has opened an overall decline of the Christian faith in America. Dr. Carl Broggi, the senior pastor of Community Bible Church of Beaufort, SC, attributes this trend primarily to the failure of existing Christians to actively share their faith, and secondarily, the failure of church leaders and laity alike to study and to teach God’s Word. Broggi says, “If people would just take up the Bible and study it, they would see that this is no ordinary piece of literature. Rather, the Bible itself tells us that it is ‘living and active…and able to judge the thoughts and intentions of the heart,' (Heb. 4:12). The Apostle Paul’s second letter to his ’son in the faith,’ Timothy, reminds us that believers should be diligent in their study and sharing of God’s Word; in so doing they will meet the approval of God, (2 Tim. 2:15). That same letter emphasizes the power of Scripture, that it has been literally given to us by God, and is thus, useful for 'teaching, for reproof, for correction, and for training in righteousness, so that God’s people can be equipped to do good work’, (2 Tim. 3:16-17). Pastor Broggi gives leadership to the church in Beaufort which has campuses in Bluffton and Graniteville, SC. Combined membership exceeds 1600. Additionally, CBC of Beaufort has birthed campuses in Savannah, GA and Ocala, FL. Those churches now are independent of the Beaufort campus. They have their own pastors, they handle their own administration and finances, and they are thriving. The existing campuses are fellowships unto themselves in that they have a core group that worships together; they corporately celebrate the Lord’s Supper; they have their own social fellowships; their own youth programs; and their own extracurricular activities. But the preaching is delivered via very high-speed internet to the campuses and shown on large monitors or projected screens. Dr. Broggi is the primary teacher/preacher, but other pastors include Dr. Larry Bennett, the associate pastor, and two campus pastors, Josh Stone and Geoff Lawson. Sermons are aired on the church’s 100,000 watt radio station, WAGP at 88.7 FM. And Pastor Broggi’s messages are heard on radio stations around the country through the ministry, Search The Scriptures. A few years ago, Broggi was approached by Rudy Cleland, the son of one of the family members of Oak Grove Baptist. Cleland shared that the church membership was once again on the decline and asked Pastor Broggi if Community Bible Church would consider taking on the historic house of worship as one of the CBC campuses. After much prayer and discussion amongst the CBC elders, it was decided to proceed with this latest campus. The past several weeks have been spent making major renovations to the historic church including shoring up foundations, making improvements in the heating and air conditioning, adding a state-of-the-art security system including cameras on the grounds, and, of course, the installation of the multi-media system that will allow reception from the main campus in Beaufort. The Oak Grove facility is in a rural section of Hampton county, thus arrangements had to be made with Palmetto Rural Telephone Company to have almost five miles of fiber optic cable installed. Because of the Christmas and New Year’s holidays along with the heavy rains experienced this Winter, the fiber installation is not expected to be completed until the end of January. Consequently, the first three Sundays will have messages delivered via DVD. Pastor Broggi is in a series from the book of the Revelation, and these recorded messages are intended to bring the Grays congregation up to speed in this study. In addition to serving existing members of Oak Grove Baptist, CBC of Grays will also be a much shorter drive for some members of CBC Beaufort, who had been driving as much as an hour from their homes in Hampton, Varnville, Ridgeland, Yemassee and Brunson. But most importantly, this newest church seeks to reach individuals in the area who have never heard the message of God’s grace through faith in Jesus Christ alone, which the Bible teaches is the only way of salvation and reconciliation with God. Community Bible Church of Grays meets Sundays at 11 a.m. As the campus grows, plans will be developed for Adult Bible Fellowships and other campus-specific activities. More information is available online at communitybiblechurch.us/grays or by calling (843) 525-0089.